Seconding what Midnight Kitsune said. Download link is available, but incorrectly labelled. However, my advice is not to use these 3 mods until they have been properly updated. In the mean time, may I encourage you to read this thread to help you with your mod playthrough? EEEEE I loved the Kadur Theocracy! If you bring them back I will be super pumped. What is it labeled as? The only links I see are for 0.6.2 or something and when I try to run the game it crashes and tells me the logo is missing or some nonsense. It is nice to be back and see the caustic comments of Midnight Kitsune. I really was hoping for a positive update for this one, but I guess not. yuhu, anyone here? what about that great mod? is it going to be updated to 0.8? Midnight likes to throw rocks and dance off, but his point is broadly correct; these mods aren't especially well balanced or implemented. Short of a genuine revival with much more attention paid to unglamorous factors like deployment costs (let alone the massive, known, ignored balance issues and game-crashing bugs), these mods don't add very much into the game besides nostalgia. They aren't rebalanced around the current state of the game, and likely will not be. Their art isn't the most friendly with vanilla (look who's talking, right? ), and even a straight compatibility update becomes more and more work for less and less return as the game diverges from the point where they were current. got fond memories of this mod and the original game. Look at what this war got us. The Bentusi are routing us all. Why are we not giving up? Is this 'core' really worth the lives of millions? I just got another report. 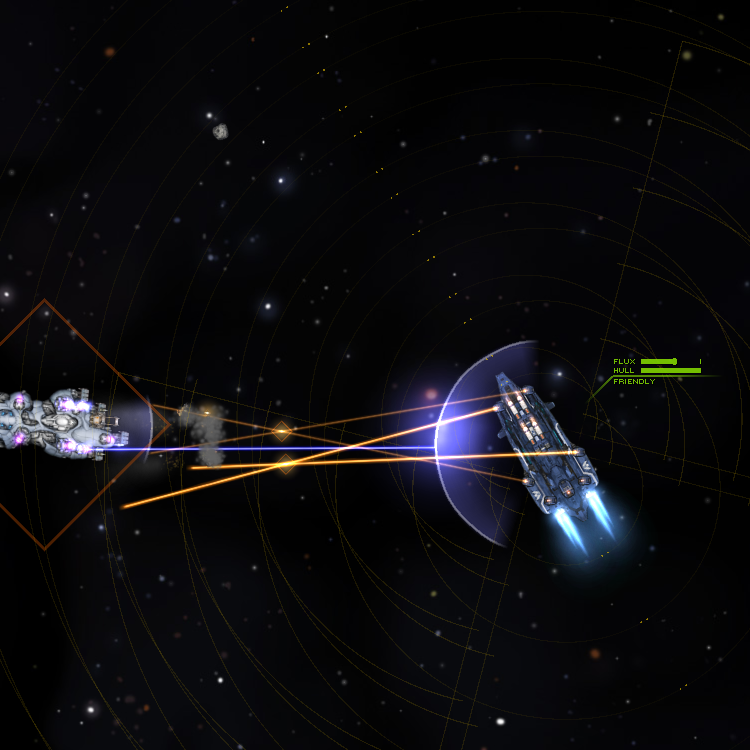 Four of our fleets have just been destroyed around Angel Moon. Four! We can't put up a resistance to the Bentusi! Why aren't our superiors seeing this! Our fleet is demolished. Hiigara's military is basically non-existing. Still the damned core hasn't been given to the Bentusi. However, they stopped eradicating us. I guess that's something. But now what. We're helpless. If the treacherous Taiidani would want to make a move at us now, it would be our doom. I knew it. Reports are coming in, the Taiidani have started a war against us. That lunatic admiral Riesstiu will not rest until every last of our planets is in his hands. Where are the Bentusi now? Rumours are they vowed to never wage war again, seeing the massacre they created. But this leaves us unarmed to the mercy of a bloodthirsty wolf! Apparently the Bentusi and the Galactic Council forced an agreement with the Taiidani. They stopped hunting our people. Their demand in return, however, is terrible. We are to leave Hiigara and the few planets still in our hands. An exile! This is maddening. The Bentusi could stop this nonsense if they wanted. Damn their new-found pacifism! I've been commanded to captain one of the vessels that will take us away from here. Most liveable planets are inhabited. Where do they expect us to go? Seeing the ship I am extremely doubtful if we could even reach the edge of what was once our own space, let alone find an inhabitable planet. These transports were obviously constructed in a hurry. It's been years now. Most people are lucky to be sleeping in this rust bucket’s cryochambers. Three ships have already malfunctioned and either exploded or are lifelessly drifting around in space. Poor souls. Wormholes. They sometimes appear, only to disappear again years later. We're near one, a six-month flight. I don't think we'll find a new home. Not in this ship and not in this area of space. We have also been harrassed by the Turani. Eventually we'll have to pass through their space. I have no doubt that we'll be hunted down by them, for sport or for resources. I've informed my crew that we'll be going through the wormhole, for better or worse. Some of the crew rebelled. I had no choice but to put them in cryostasis. The other captains have now labelled me as insane. Perhaps I am. It's been months since we passed through the wormhole. Ship sensors indicate the hole has closed again. We're alone. I am beginning to regret my decision, because, really, where the hell are we? Are we even in the same galaxy? Hopefully I can hide my feelings from my already tense crew. There might be one bright point in all of this: I sincerely doubt any Taiidan or even Turanic raiders are hiding in this part of space. Land ho! 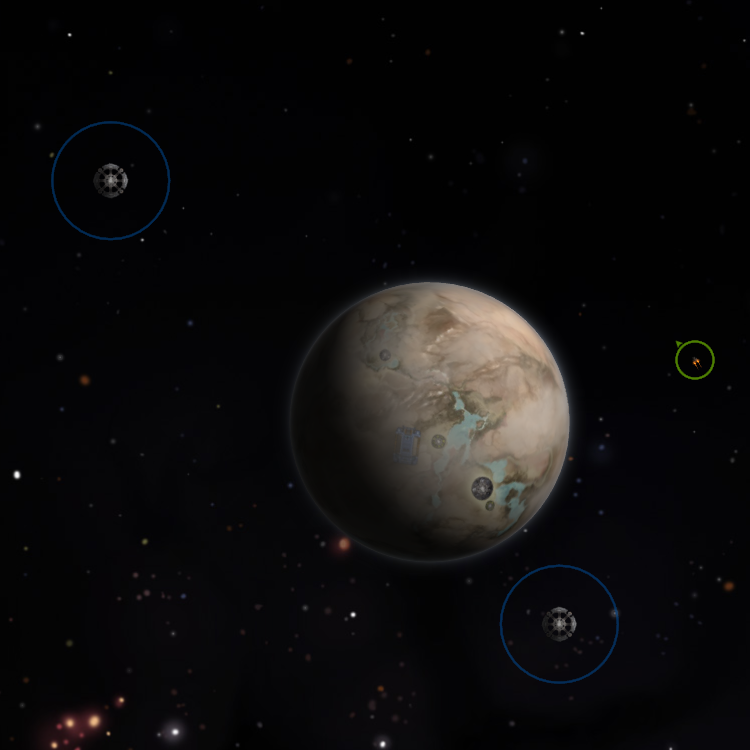 Our sensors picked up an M-class planet in a small solar system. Arid, but liveable. Space isn't exactly a giant open planet-buffet, so this planet is what we should aim for. We have agreed to name it New Hiigara. It's been 5 years since the last person was pulled out of stasis. Terraforming and colonizing this planet is going smoothly, thanks to the technology onboard our prison ship. Our first city has already been founded, build out of the ship's hull, and our scientists and engineers are working around the clock to provide our people with advanced technologies. Arid this planet may be, it's rich in metals. We've already begun to create our first spaceships to explore the other planets in this star system. Incredible! How can this be? I just got reports that one of our recently launched scouts had contact with other humans. Non-Hiigaran or Taiidan humans. How can this be? What are the odds? Their fleet was massive. Thankfully for us they were somewhat neutral. However, we cannot have any risks. Our council will be commencing a meeting soon to discuss the start of building our own fleet. In my opinion, the sooner, the better. 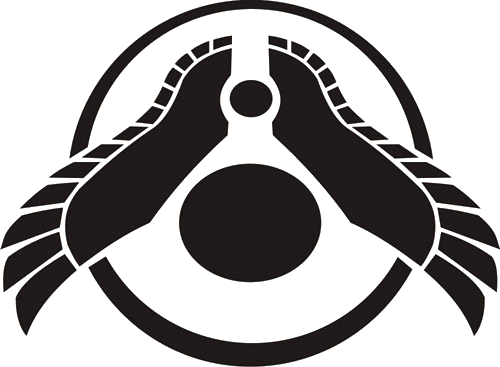 After sensors picked up the planet that would soon be called New Hiigara, the prison ship Khar-Sala spend three months travelling there due to its low-tech drive engines. The landing was not without problems. The ship was build like a brick and landed like one. It would never fly again. A great number of people were severely wounded or even died after the harsh landing. The captain did live to tell the tale. It can be noted that this might have been a bad thing for him, because many of the awoken Hiigarans were not happy after finding out their home planet was out of their reach forever. Using building-sized air filtration devices, the first thing Hiigaran onboard scientists did was creating a safe breathing perimeter around the ship. Although the air on New Hiigara had oxygen, it was not enough to breathe well, and airborne bacteria needed to be removed as well. In the following five years this perimeter was increased as more and more people were awoken from cryo-sleep. Around four hundred thousand people were eventually walking around on the planet, either in safe-breathing zones or out in the vast deserts and rocky plates with the help of oxygen masks. The hull of the Khar-Sala was used to build the first New Hiigaran city, Sala. To date still the largest city on New Hiigara. Now a giant plasti-glass dome, safe from the harsh dry air outside. It did not take long before Hiigaran scientists and engineers created the first mining drills and metals and a dark-bluish sludge were dug out of New Hiigara's crust. The sludge seemed to be a remnant solution of mass bacteria death, once alive millions of years ago. Until they had the means to manufacture their own synthetic oil this substance would do fine, smearing the giant gears of New Hiigara's rapid growing industry. In over a hundred years Sala grew to be a gigantic dome, expanding hundreds of miles and two heavy industrial cities were completed. Five gigantic biodomes were created as well, near the planet's few lakes. Population had boomed and now millions would live in New Hiigara's cities, biodomes and spaceships. The Hiigaran people are separated into many houses, or families if you will, called Kiith. Members of Kiith Ferriil, Gaalsien, Hraal, Jaraci, Kaalel, Magann, Manaan, Nabaal, Paktu, S'jet, Sagald, Siidim, Soban, Somtaaw and Tambuur were all represented onboard the Khar-Sala. After landfall, the only right thing to do, at least according to the elder people of each Kiith, was to appoint a spokesman, a president, which would represent the Kiith's wishes in dayly council meetings. Fifteen people would represent the Council. Although most Kiithid had their own political system as well, the Council held the final word. It is interesting to note that the first agreement the Council made was to banish the Khar-Sala's captain and every crew member that had agreed to go through the wormhole. The idea that Hiigara could quite possibly not even be in this star system weighted heavily on the New Hiigarans' minds. 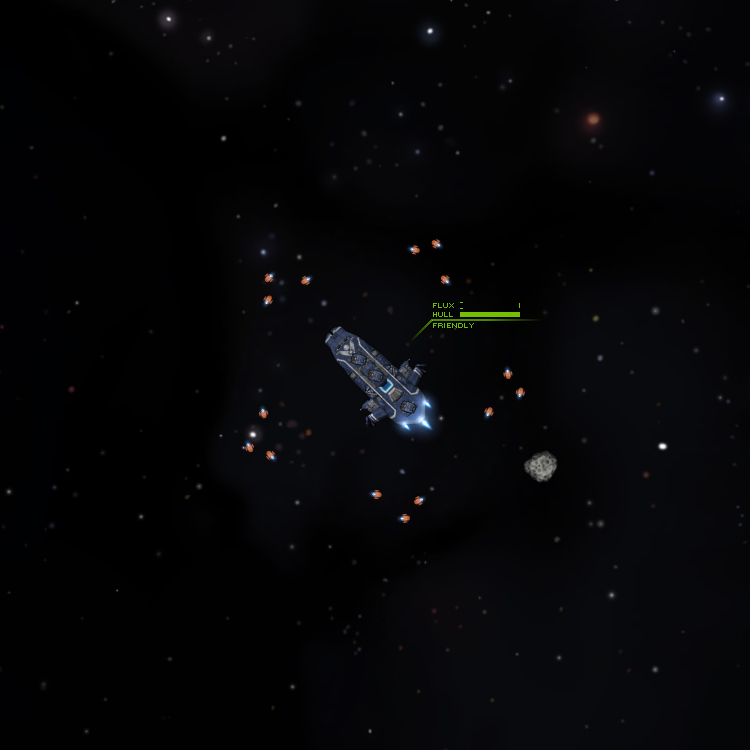 When the New Hiigarans first made contact with the Hegemony shortly after clawing their way back up into the stars, all efforts were made to conceal the location of New Hiigara from the Hegemony in order to safeguard its safety. At the time, the New Hiigarans were not the military and industrial juggernauts they are today and as such, its best defense lies not in its military, but rather in its secrecy. Still, surprised and immensely worried by the huge discrepancy in military might between the two powers, and mindful of possibly becoming a vassal state should the Hegemony chooses to exert its will on the fledgling world, the Council of the Kiithid unanimously voted to use every resource and tap every pool of talent at its disposal in order to establish a potent military capable of fending off any and all threats. The greatest minds of an entire generation – combined with the manufacturing might of Kiith Hraal and Liir, amongst others, were dedicated to the sole, brutal task of creating fleets of ships equal to any navy in the sector. Even as the New Hiigarans forged its new instruments of war, however, a significant amount of effort was put into contacting and establishing relations with the Hegemony. Through years of successful diplomacy, in no small part due to the efforts of Kiith Manaan, the New Hiigarans slowly came to learn the inner workings of their new home. Tech transfers, star charts, resources and info dumps were traded between the two, as were more esoteric things, like history and art. However, with survival on the forefront of the nation’s agenda, such trivialities were abandoned in favor more pressing and practical concerns. Years pass, and what was once a civilization that was all but defenseless grew to become a local power that would give even the mighty hegemony pause. However, this rapid level of development was not without its costs. Its people, many of whom were physically, mentally and spiritually spent were getting frustrated. After years of preparing for an attack that never came, and a betrayal from the Hegemony that never materialized, many New Hiigarans grew disillusioned with the Council. Some Kiithid wanted to continue expanding their military, with the hopes of one day becoming the sole power in the sector, while others were more than content with what they had. Eventually, the latter group prevailed, and the New Hiigarans settled on a more leisurely rate of expansion. Factories and shipyards, once dedicated to the construction of military vessels, were now repurposed in order to produce civilian goods, and the brilliant minds that were once tasked to create a new generation of weapons now had the time to pursue their own interests. As such, it wasn’t long before a new discovery was made, one that shook New Hiigara to its very core. New Hiigaran scholars, for once with time on their hands, poured through the history of the hegemony. Of particular interest to its scholars, in part due to its potential applications for New Hiigara as a newly-established power, is its founding. It is here that they learned of the fall, of the Domain and, most importantly, of the gates. Having lost the ability to create hyperdrives, and with no access to a core, the New Hiigarans had to resort to using the same wormholes that the locals use for extra-solar travel. These wormholes, while extremely useful as a mode of local travel, were simply not sufficient to travel across galaxies, let alone between them. Thus, when the Hiigarans learned of the Domain of man and of its wondrous gates capable of hurling a ship across the galaxy in an eye blink, it didn’t take much for the New Hiigarans to realize its potential applications. In particular, should the new Hiigarans discover the secrets of the gates, they may well find a means to return home. Up until that revelation, any and all attempts at returning to Hiigara was seen as an impossible endeavor. The massive wormhole that brought them here from another galaxy has since collapsed, and what few wormholes that did remain only led to local areas. As a result, when the news of the discovery broke, the entire population was once again galvanized. However small a chance of success, the mere possibility of returning to Hiigara someday was enough to send morale soaring. The men and women of New Hiigara who, mere months ago, were adrift without purpose or guidance threw themselves at their work once again, this time not out of fear, but out of hope. For the second time within a generation, the entire populace pooled its resources for a singular goal – to gather the resources and the knowledge necessary to return to their home world. Unfortunately, this new wave of expansion did not go unnoticed by the locals. Ever since the Hegemony discovered the location of New Hiigara, The Navy had kept a close eye on the growing power. Though the Hegemony does not have the resources to take over the growing power without taking severe casualties in the process, it was always comforted by the knowledge that, when push comes to shove, they would come out on top. However, this new, rapid pace of expansion threatens to upset this status quo, and it wasn’t long before Hegemony High Command dispatched a massive fleet to the area as a way to send a strong message to the Hiigarans, as well as act as a delaying force should the Hiigarans initiate hostilities. The deployment of such a large fleet, however, was not without its own unintended consequences. Rumors were abound on the final destination of the fleet, even before it left its moorings. Many of these rumors were nothing more than exaggerations and flights of fantasy, while others came dangerously close to its mark. In either case, curious adventurers, bold explorers and greedy pirates were already waiting by the time fleet left the port, and despite the best abilities of the Hegemony fleet, they were unable to shake the fleets of ships tailing them. Despite the compromised nature of their mission, however, the fleet was given the go-ahead to transit to the outskirts of Hiigarans space and establish a forward operating base in a nearby star system. Alarmed both by the presence of the Hegemony fleet and the unknown fleets tailing it, and fearing an imminent invasion, the New Hiigarans placed their forces on high alert and cut all ties with the Hegemony, and while the two powers have not yet shown any signs of overt hostility towards each other, both treat the other with suspicion: one driven by seeing the other as a growing threat to its rule, the other as would be conquerors who brought with them the dregs and criminal elements of their society in order to spread lawlessness and terror in what was once a quiet corner of the sector. 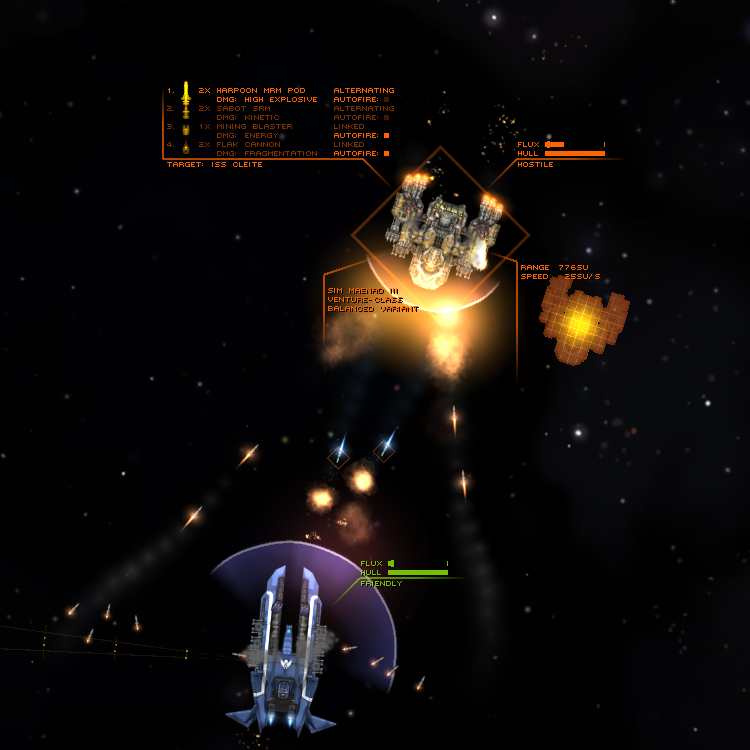 - Trylobot, Trylobot's STARSECTOR Ship Editor. Seriously, you, sir, are awesome and I salute you. I can't imagine having to create ships without it. - Thule, for allowing me to adapt his 'contract' script. - Wyvern and Lazywizard, for their Saved Variant Extractor. - Fractal Softworks, for allowing people to create modifications and, ofcourse, creating this game. - megal00t and Relic, Homeworld 2 cruiser, carrier and corvette render. - echosierraalpha, New Hiigara vs The Dominion story. - silentstormpt, for directing me to LazyWizard's guide. - Ember, testing, with video feedback even. - Silver Silence, testing, feedback. - OpenOffice Calc 3.4.1, the poor man's MS Excell. Well, at least it worked, sort of. The Jnaar in action. Incidentally, it got ripped to shreds. My gun is bigger than yours. In order to avoid further hassle with the old thread I've decided to create a new one which I can update when needed. Since I really liked the Hiigarans and The Bushi mods, I've decided to bring them up speed for the current version. Before anyone asks, I have the permission of the original author. Hiigaran Descendants: To be updated. 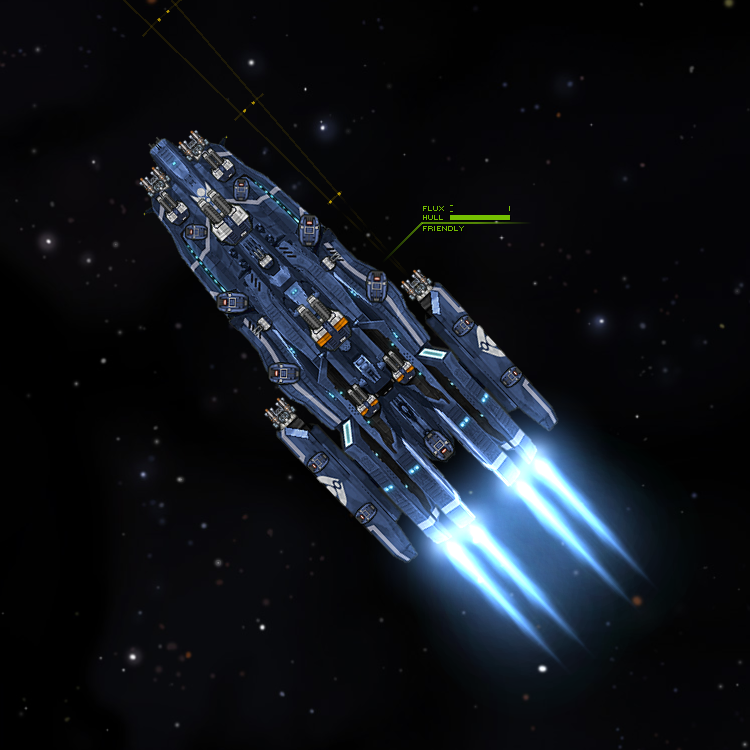 - Buffed all ships slightly in the hull and armor department. 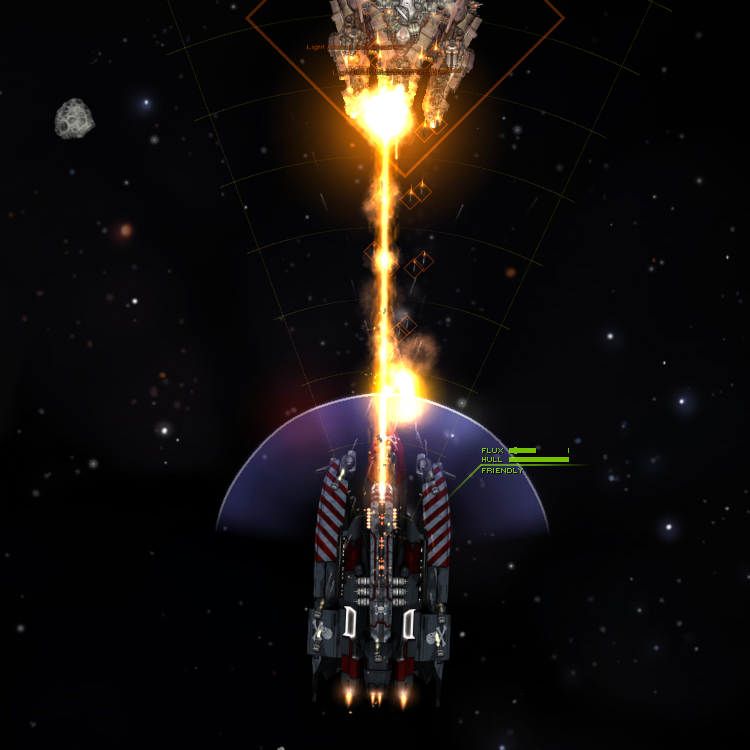 - Increased burn speeds to enable the use of the new sensor mechanics. - Added ShaderLib effects to all projectiles. - Tweaked tactical speeds to be more sane. Some have reported having crashes when launching the game with these mods. 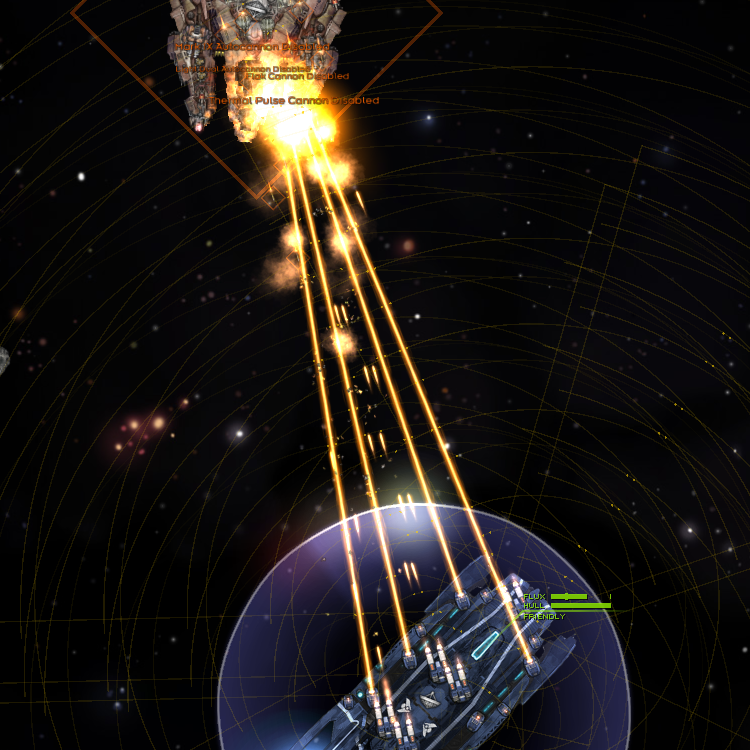 I suggest using Java 8 in your Starsector JRE folder if you encounter these crashes. Hiigarans works with Nexerelin but will crash if the Corvus option is selected. I'd like to actually add more to what currently exists possibly adding a few new ships/weapons to both mods, but that will come later after I've also revamped Bushi. I haven't had a lot of time to test the ships vs current vanilla/mod variants so I don't know if they still stack up well vs the rest of the Modverse. Is this going to be updated for 8.0?